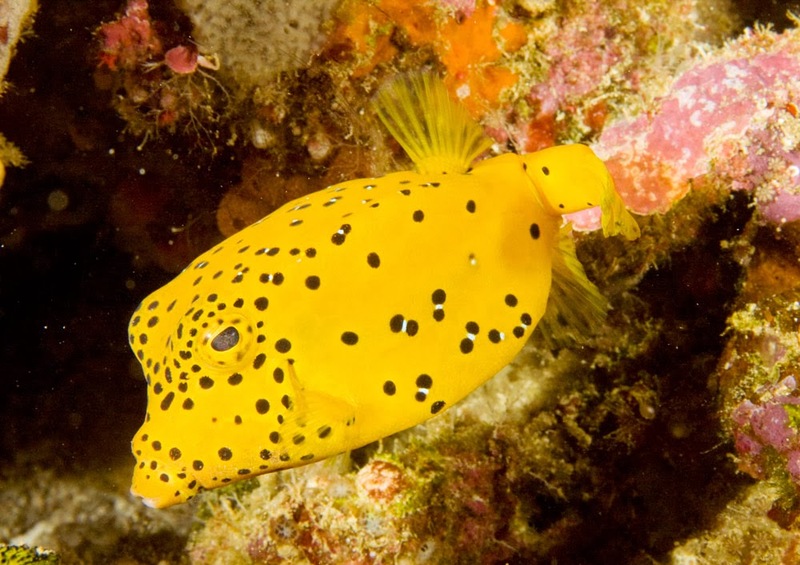 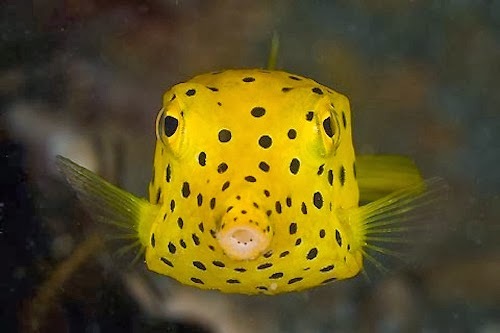 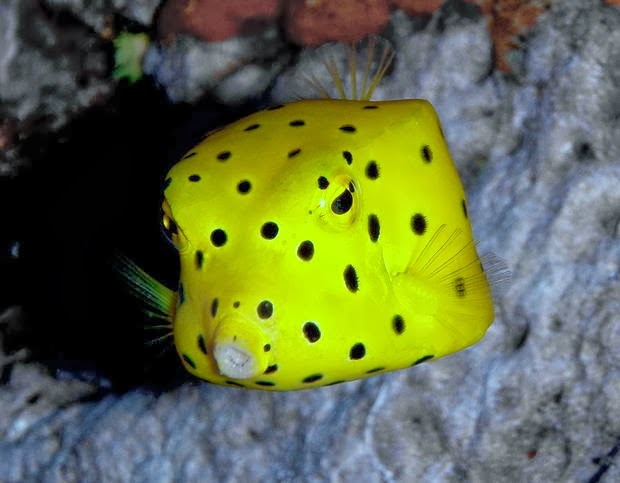 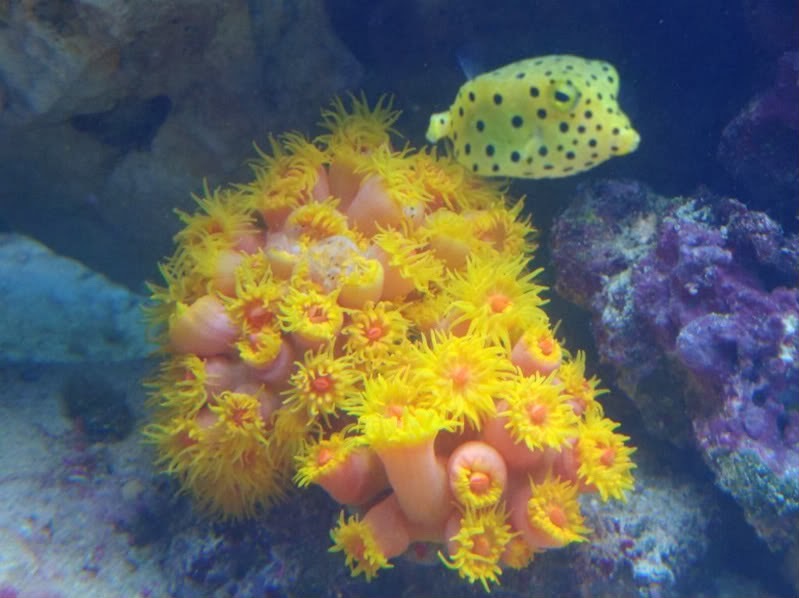 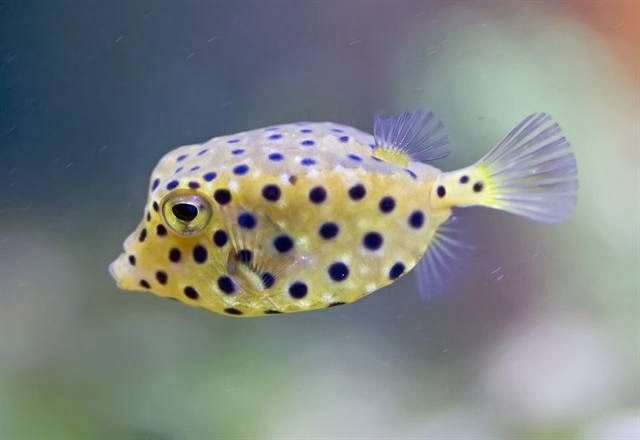 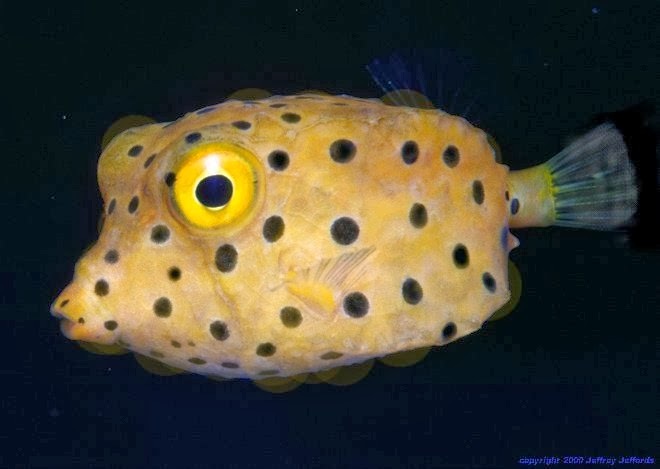 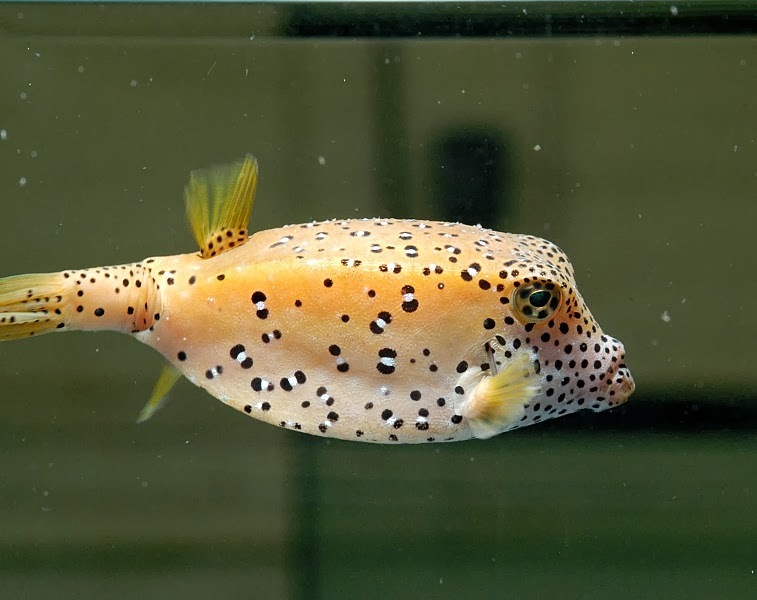 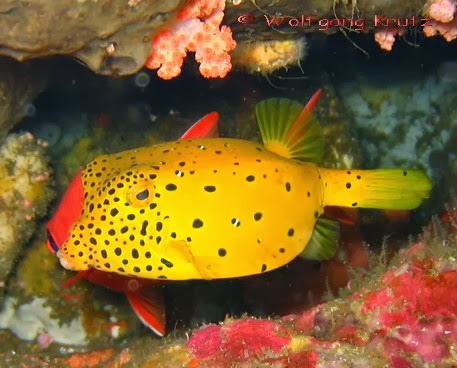 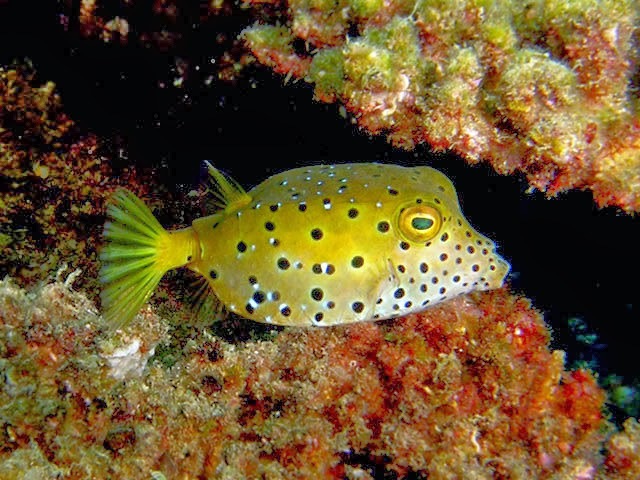 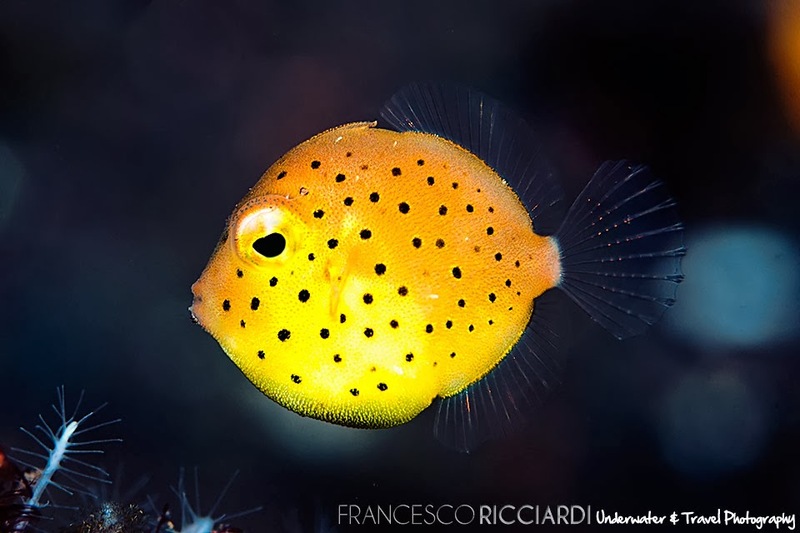 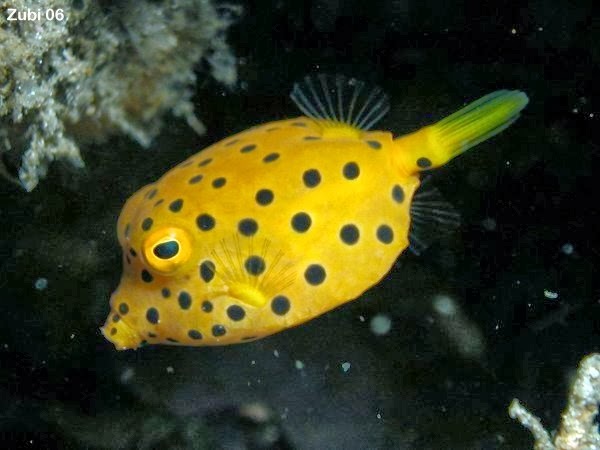 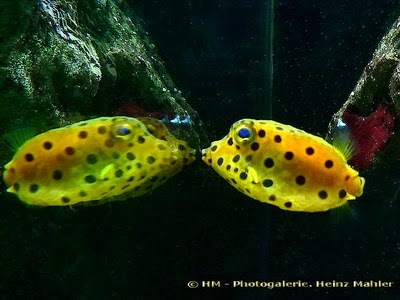 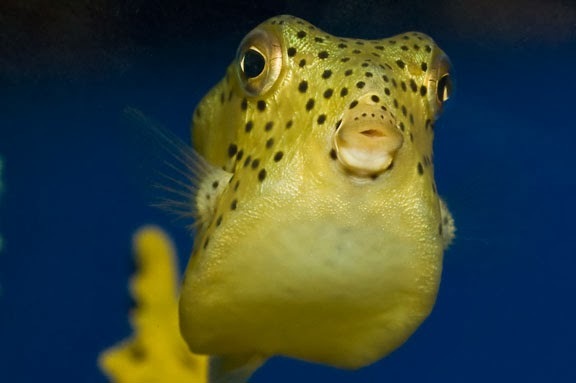 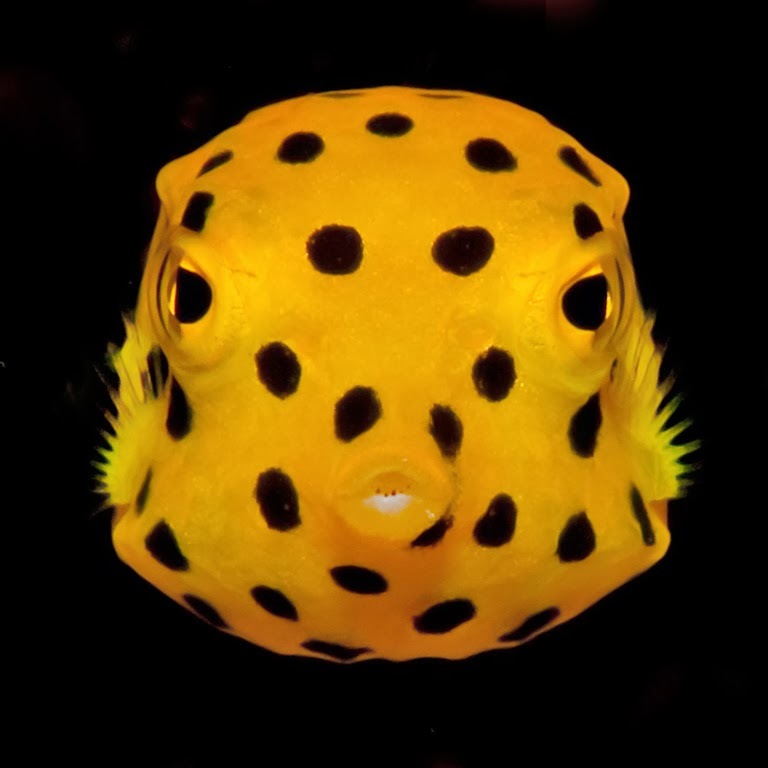 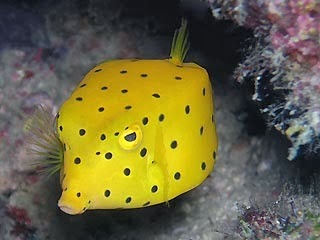 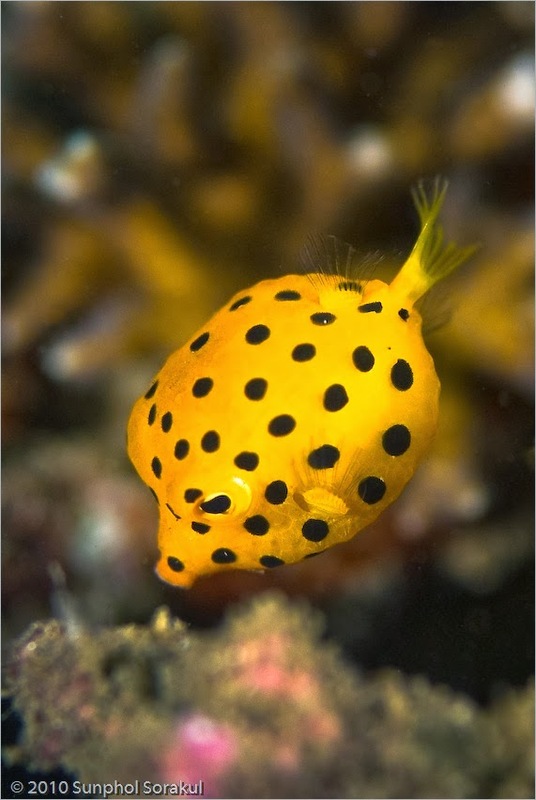 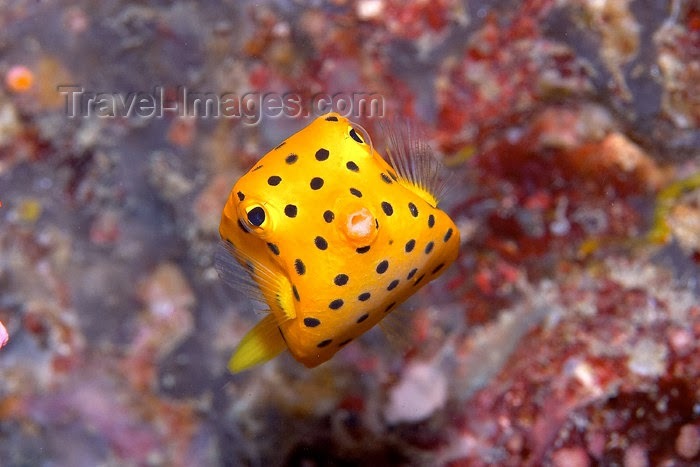 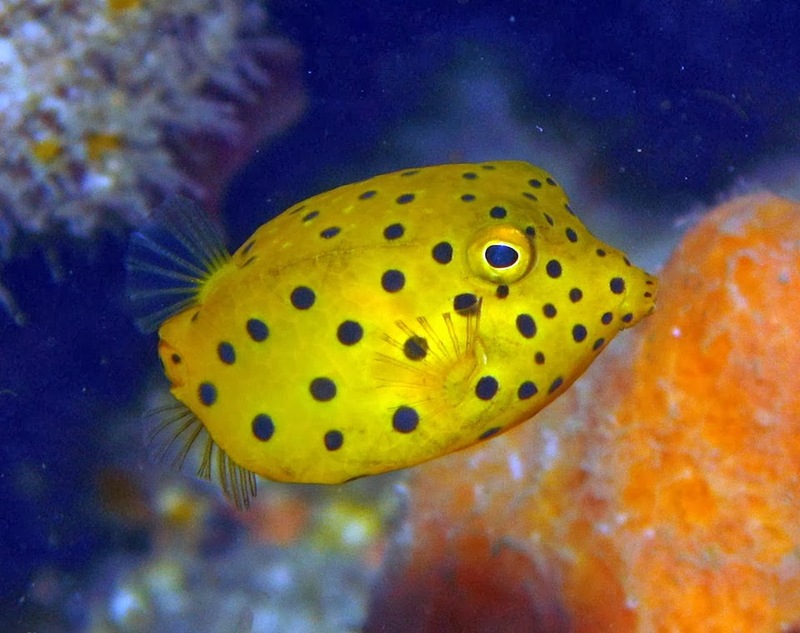 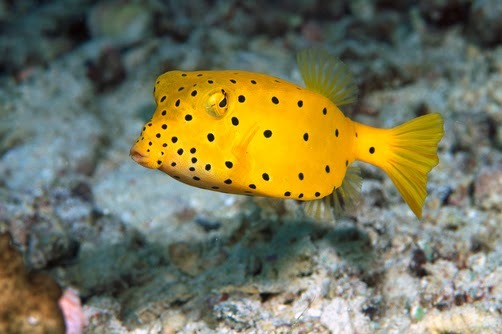 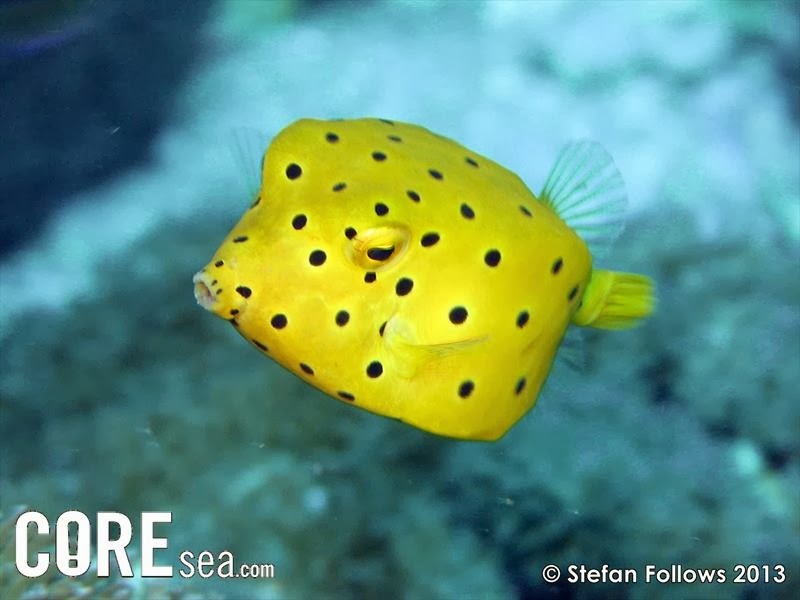 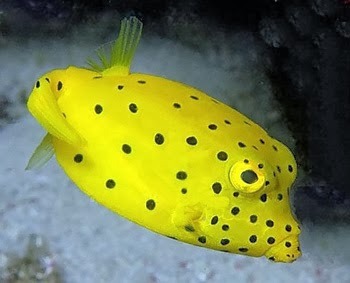 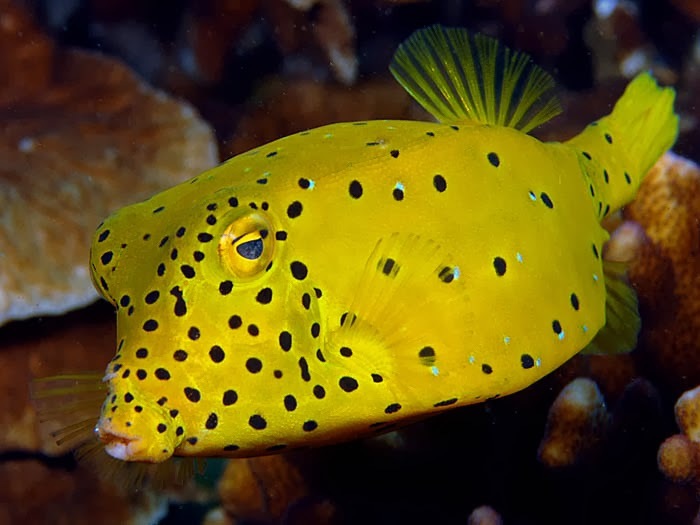 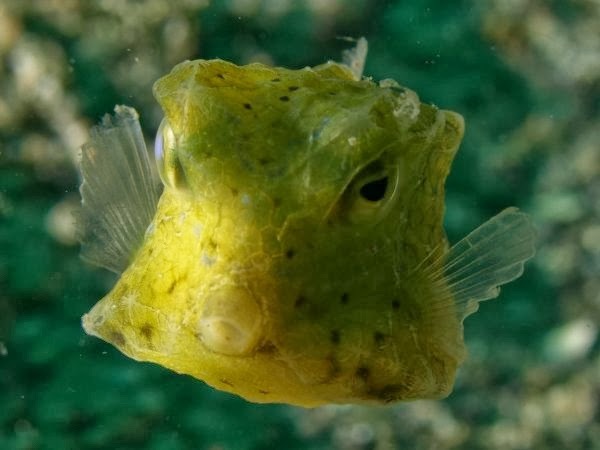 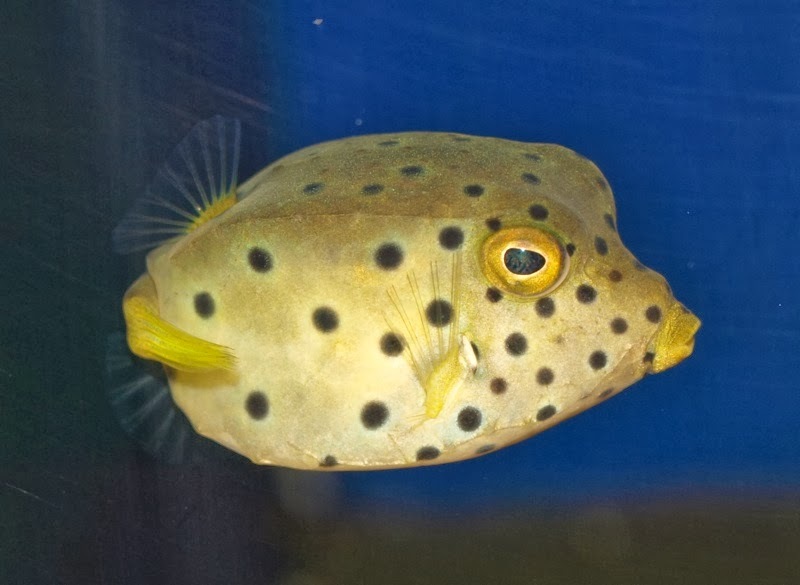 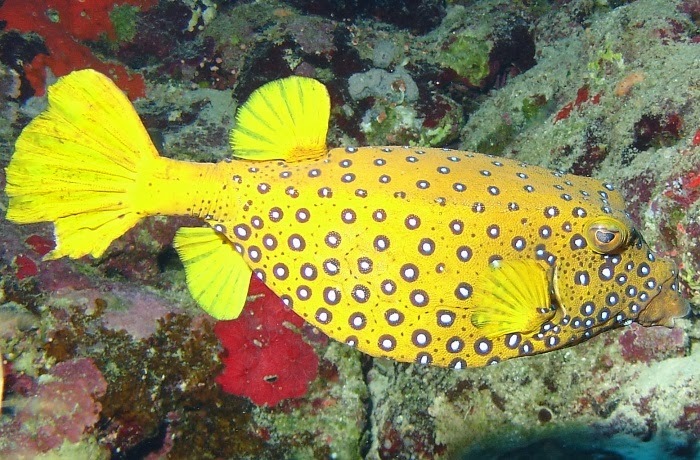 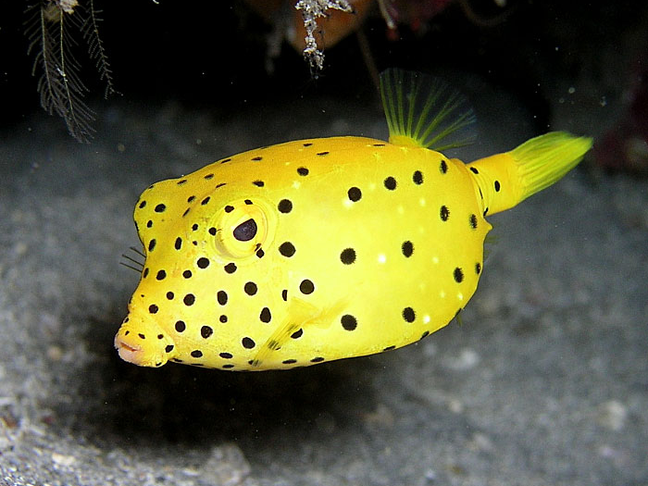 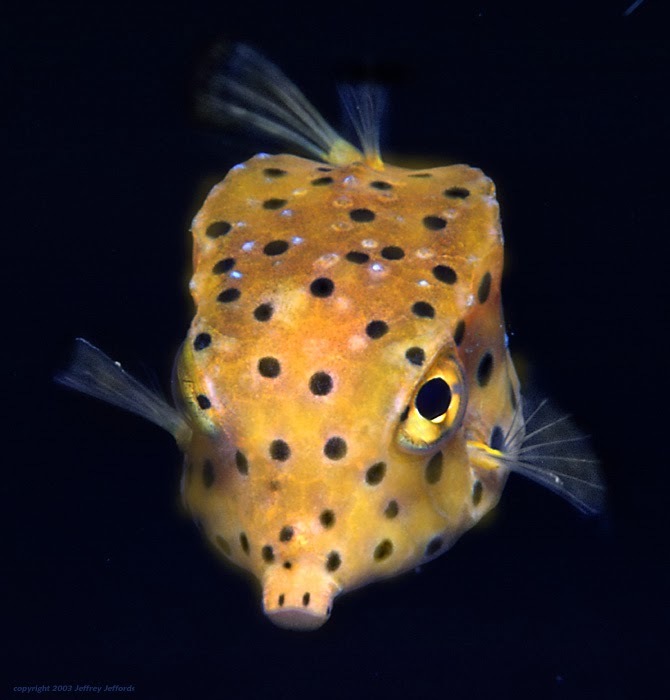 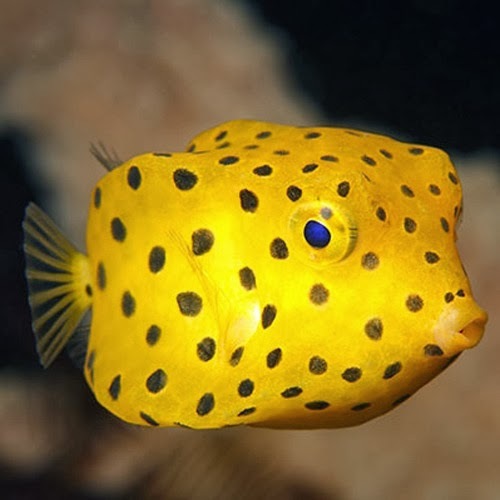 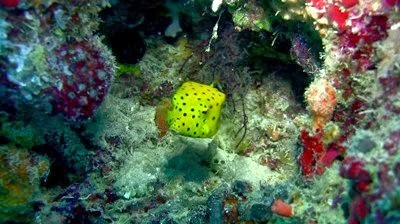 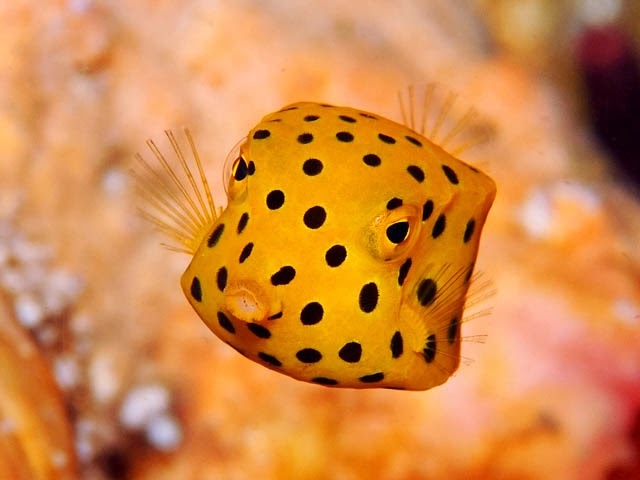 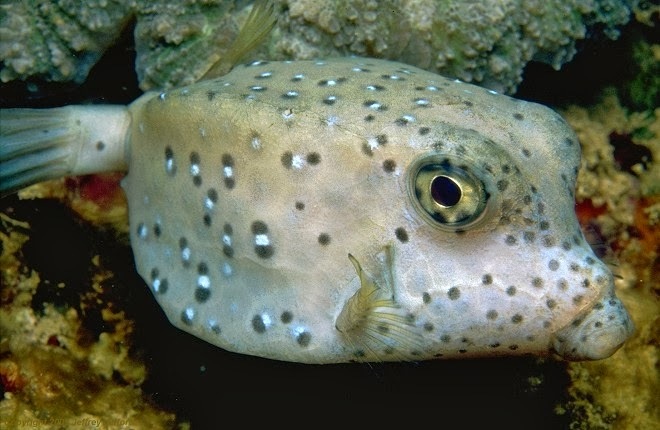 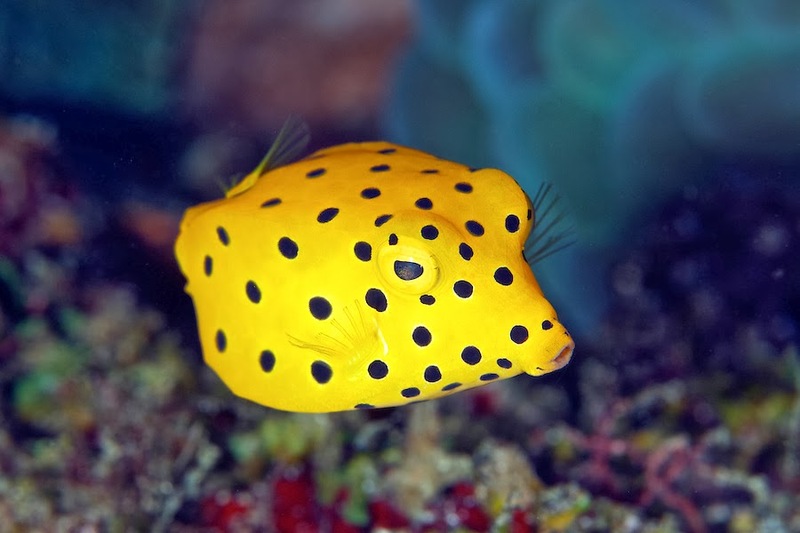 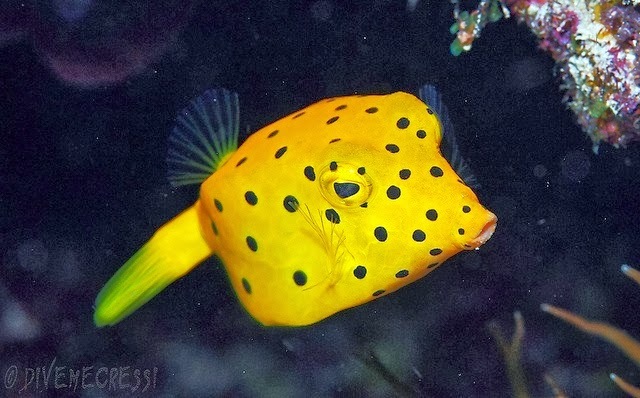 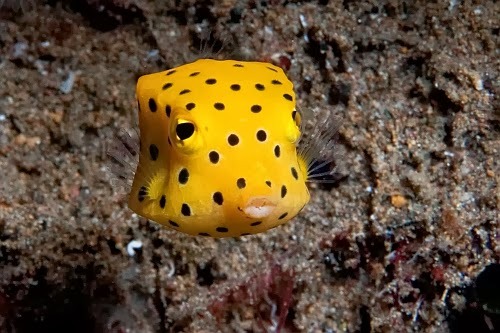 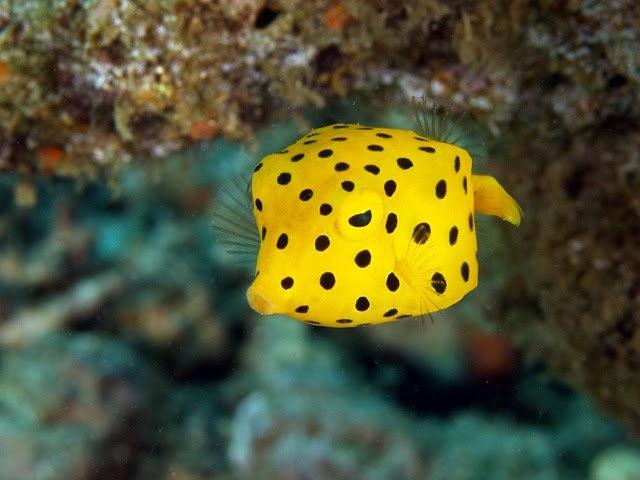 The yellow boxfish (Ostracion cubicus) is a species of boxfish. 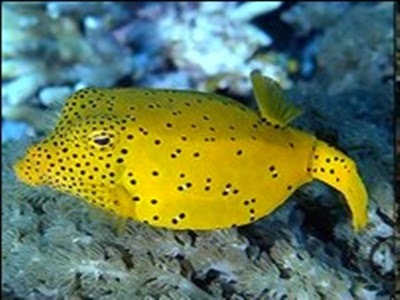 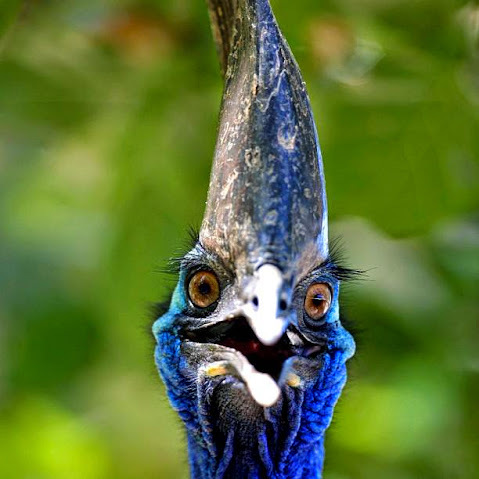 It can be found in reefs throughout the Pacific Ocean and Indian Ocean as well as the south eastern Atlantic Ocean. 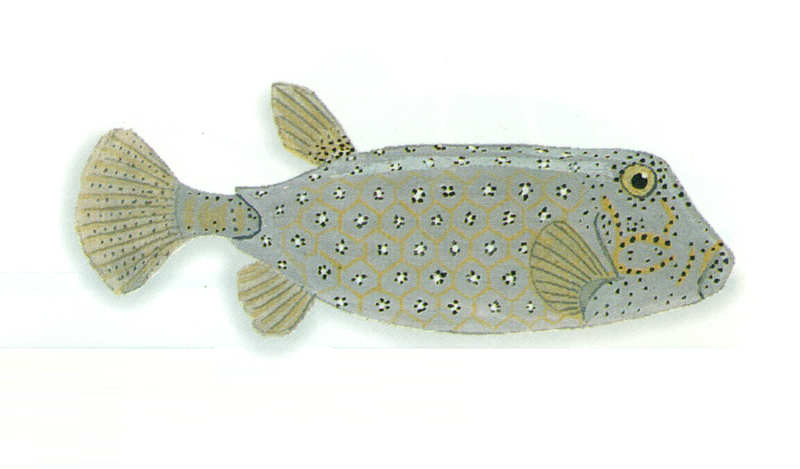 It reaches a maximum length of 45 centimetres (18 in). 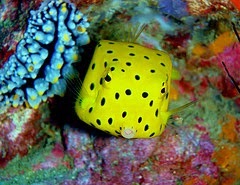 As the name suggests, it is box-shaped. 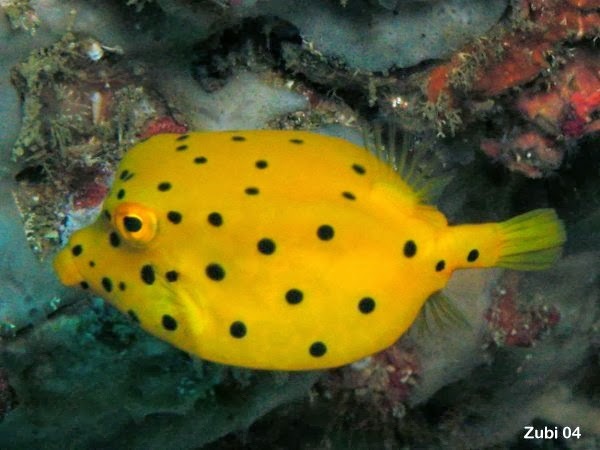 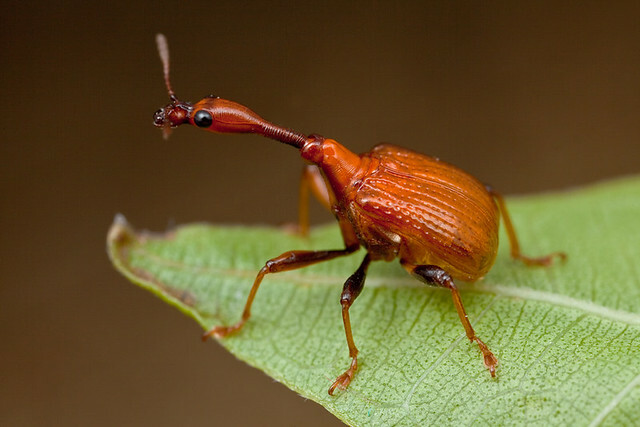 When juvenile, it is bright yellow in color. 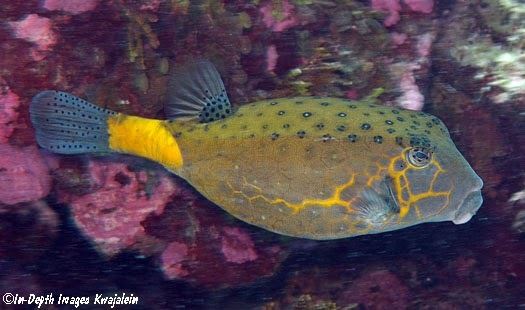 As it ages, the brightness fades and very old specimens will have blue-grey coloration with faded yellow. 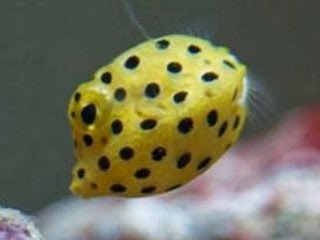 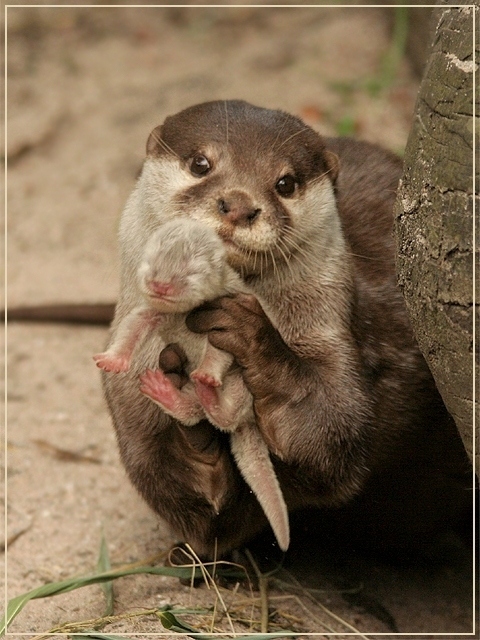 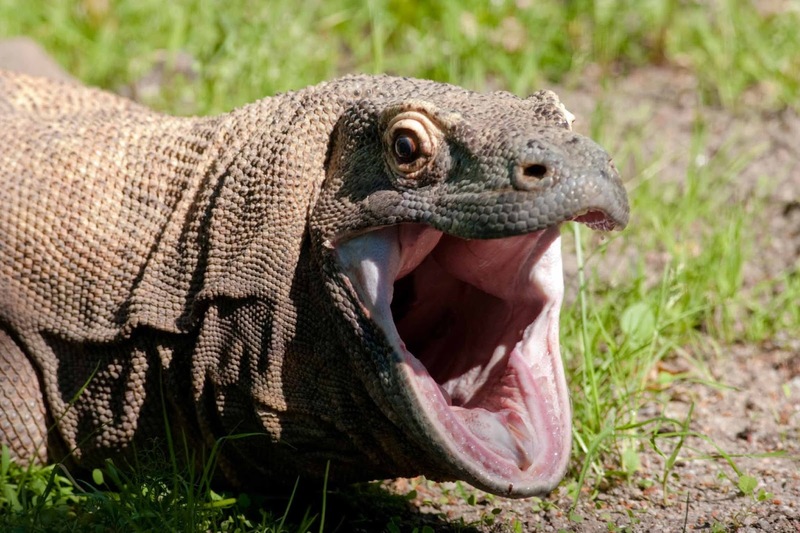 It feeds mainly on algae, but will also feed on sponges, crustaceans and mollusks. 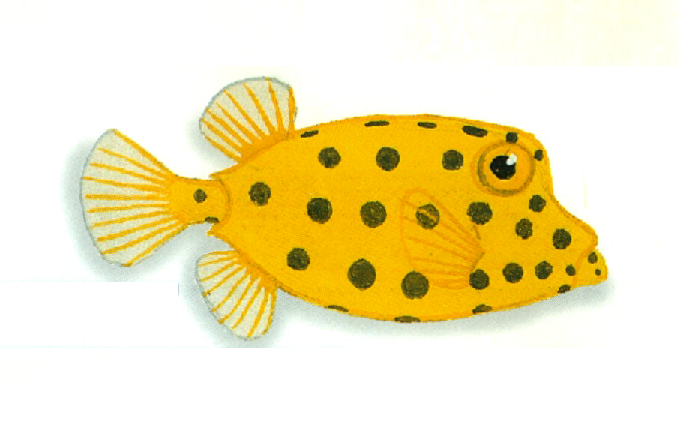 The fish's diet consists of marine algae, worms, crustaceans, mollusks, and small fish. 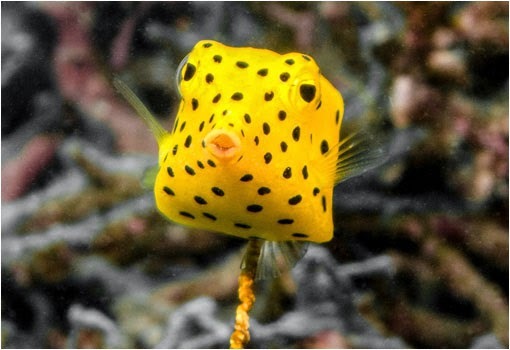 In 2006, Mercedes-Benz unveiled its Bionic concept car, which was inspired by the shape of the yellow boxfish.